I’ve been reading Stephen King’s books since I was barely a teen. I’ve read them all, some of them a lot more than once, and I reckon he’s a fine writer by any comparison with anybody. As I will have doubtless mentioned elsewhere. It’s not a blind love I have for his writings. I like some of the books a lot more than I like some of the others. Generally I prefer the books with a small cast of characters and an intimate setting rather than the ones with a huge cast of characters and far-reaching scenarios. I think that’s where he shines, if you’ll pardon the pun. My eldest son likes Stephen King too. I got him a few books a few years back and he seems to have taken to them. He’s read ‘The Shining’ and ‘Salem’s Lot’ and ‘The Stand’, the classic ones. I had been saving up my favourite one to give to him when we were going off on holiday for a few days last week. I ordered it in my excellent local bookshop, Castle Books, but it didn’t arrive before we set off so I just got to pick it up today. That was my fault, I left it a little too late to get it in time. So, this afternoon, I collected the book in its neat new-edition cover and I got as far as the bird-poo ridden bench in the park before I had to stop and take it out of its bag and have a good look at it. My favourite Stephen King book. I decided I would just read Chapter One, while I was sitting there. I’m still on holidays until Monday, although the feeling is fading fast now, so why not a little read? I opened the book but Chapter One was not Chapter One at all but rather an introduction to the book by the great man himself. I read that instead. 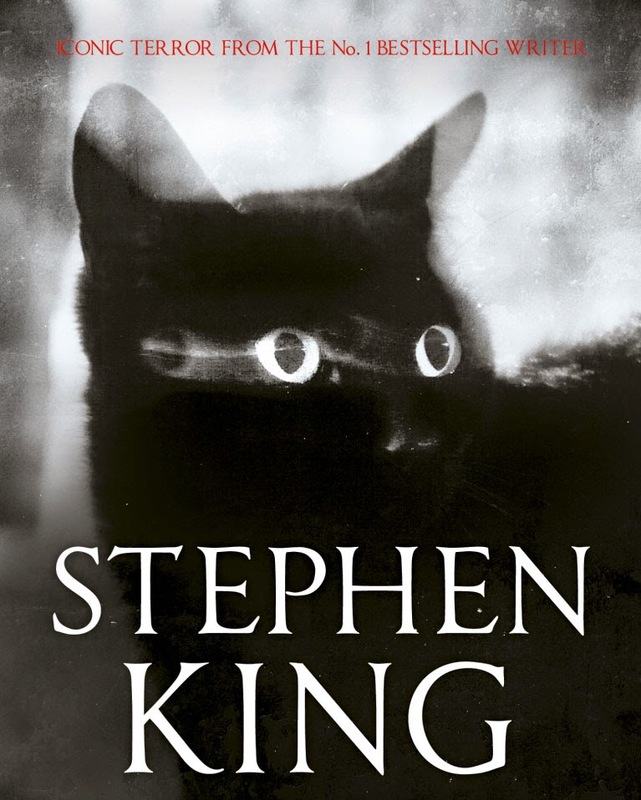 I was both pleased and surprised to find that Stephen King’s feelings about this strange dark book are almost exactly in accordance with my own feelings. As I read his introduction, I agreed with everything he was saying. Or almost everything. The stand-out line in this introduction was this, "I was horrified by what I had written." I haven’t told you what this favourite book of mine is, have I? Silly me. It’s probably an unusual choice, I’m not really sure. People tend to go more for the big ones, the ‘Stand’s and the ‘It’s. I like those too, thought not as much as the smaller ones (see above). But this one hit me and hit me hard. I’ve only ever read it once, although I may read it again now that we’ve got a spanking new copy in the house. I think the circumstance of my reading it may have something to do with why I regard it so highly. Let me tell you a bit about that for a minute. I was at a house party in Kensington W8. It was 1984, I reckon. I wasn’t much good at parties back then and, yes, some things never change. At some point it was resolved that my friends and I were not going home (someone must have ‘pulled’ or something) (not me, obviously). At around one am, I claimed myself a white leatherette armchair and settled in for the night. It soon became clear that I would not sleep much so I turned my attention to the bookshelf that adjoined the armchair. There is was. ‘Pet Sematary’. The first King book in a long time that I had not bought immediately on publication. I had seen it in the shops, of course, but I had thought it looked a bit naff and I didn’t get the obvious misspelling of the title. I put it on the long finger. But here it was, a free read. I would try a few chapters and perhaps, at worst, it might send me off to sleep. I read all through the night. Long after everybody was up and cooking breakfast, I was still reading. I remained removed and utterly anti-social until I had finished the whole damn thing in one long sleepover of the soul. I couldn’t believe how far he had went. I didn’t think it was possible to take the story along a charted course that was so potentially dark that it wasn’t necessary to veer off an some point. To look away. But it never does. The book never looks away. In his introduction, which I read in the park just this afternoon, King obviously felt the same. He locked the book up, resolving that it probably would not be published, at least not in his lifetime. His notes on the writing of the book confirmed why he has been an inspiration to me. For all the pulp horror elements of this story, it is grounded firmly in reality and genuine terror. The formative events in the book very nearly happened or actually did happen. I often go on about the ‘drop of blood’ that a writer needs to make the writing true. Stephen King practically opened a vein to write this one. And still it’s not perfect. On that Sunday morning in Kensington, as I blew all chances of a free breakfast, I found the final act a little over-dramatic and unconvincing. It didn’t matter so much though, the impact had been made with the unfolding of the dark path that took me there. At the end of the day it's just good old-fashioned pulp horror at its best. But, still, there is something else. Something lurking behind all the B Movie Shenanigans. Something dark as hell. Something possibly true. So, yeah, Pet Sematary is my favourite. I wonder what John will make of it? The only Stephen King book I’ve read is his On Writing and I enjoyed its down-to-earth-ness very much. It did make me curious about his writing because reading in between the lines I could see there’s much more to him that simply a horror novelist. I’m not a fan of the horror genre and I could list on one hand the number of horror novels I’ve read and four of them are by James Herbert: the Rats trilogy and Moon. I’ve watched many adaptations of King's books including all three versions of Carrie (there was a TV adaptation that people tend to forget about in which she survives) but I’ve still never read a single novel, not even a short story. The problem is there are so many other writers I feel I need to read before I get to King. At the moment I’ve got a list the length of my art of women writers I have to read before I die (or at least that’s what people, i.e. the Internet) keeps telling me—and the list of men I’ve still to get round to is not short either. At least I have read a Stephen King. Top of my list would probably be The Colorado Kid since the TV series Haven is based on it and we’ve been enjoying it. Gerald's Game sounds intriguing too. Not sure I’d ever read Carrie. I can’t imagine me being anything other than disappointed. It’s why I’ve avoided Monkey Planet all these years and I regretted reading Do Androids Dream of Electric Sheep? I stopped reading him in my late teens cos I went through a few years of having nightmares - so stopped watching and reading horror. But I have to tell you Pet Sematary blew my mind when I read it. It's just amazing. I can't believe he did that either. Pet Semetary was his first book that I didn't read, having read everything he published up to that point. I don't think I chose that book specifically at which to stop reading him - or was even aware at that time that I wouldn't read a book of his again - more likely that it coincided with something in life that diverted me and I never found my way back. Even though that means I haven't read anything for 30 years it still gives me a dozen books to choose a favourite from and I notice I liked the smaller ones too, or at least the shorter ones. So I liked Night Shift for its ideas and moments, as varied as you'd expect from different stories, and similarly I liked Different Seasons because it gave us four relatively small worlds of wonderful intensity. One of the last books of his I read was Danse Macabre, and it probably doesn't really fall into the idea of a favourite book of his that you mean in that it's not fiction but I loved the conversational feel of that book. Here was one of my favourite authors and he was pulling up a chair and having a chat with me about all the things we liked and why we liked them. The only time I wanted to strangle King was the Dark Tower series...because he would take over a year to write the next volume, while writing other books inbetween. Yep, I'm one of those "rest of the story" kind of people who wants to find out what happens next.